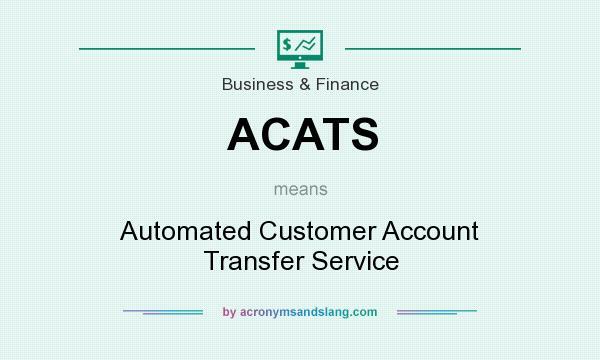 ACATS stands for "Automated Customer Account Transfer Service"
How to abbreviate "Automated Customer Account Transfer Service"? What is the meaning of ACATS abbreviation? The meaning of ACATS abbreviation is "Automated Customer Account Transfer Service"
ACATS as abbreviation means "Automated Customer Account Transfer Service"